The old sales saying is that while facts tell, stories sell. Unfortunately, it’s not quite that simple in reality. Especially with more technical products or spaces where people need to know exactly what they’re getting. So you have to walk a tightrope when it comes to marketing features vs benefits. You need to highlight specific features so that savvy buyers can easily figure out how you compare, while at the same time not alienating mainstream buyers who might not care about the intricacies of what you sell. Go too far one way or the other and you run into problems. But it can also cause a host of other issues, like forcing you to compete on price because the marketing features you’re boasting don’t resonate with the benefits your customers might see. Here’s why this often happens, and how to avoid it once and for all by transforming your features into benefits and outcomes that customers will happily pay more for. Does Your Company Compete on Price? Remember how buying web hosting used to be a decade ago? You typed in a few domains of the big boys. You scrolled over to look at how the plans and pricing were split up. And you basically needed an engineering degree to cipher it, even though they were all running cPanel/WHM. ? Plans X, Y, and Z were only separated out based on the total size of bandwidth or storage across them. Most non-technical consumers, however, had zero idea of how bandwidth translated to their site requirements. So what did they do? Default to the cheapest option of course! Not just for one company’s plans, but also across the industry. If Competitor A’s bandwidth or storage matched Competitor B’s, but was $10 cheaper? The cheapest company would win. That’s because they were stuck competing on features, not benefits. Thankfully things have improved today. 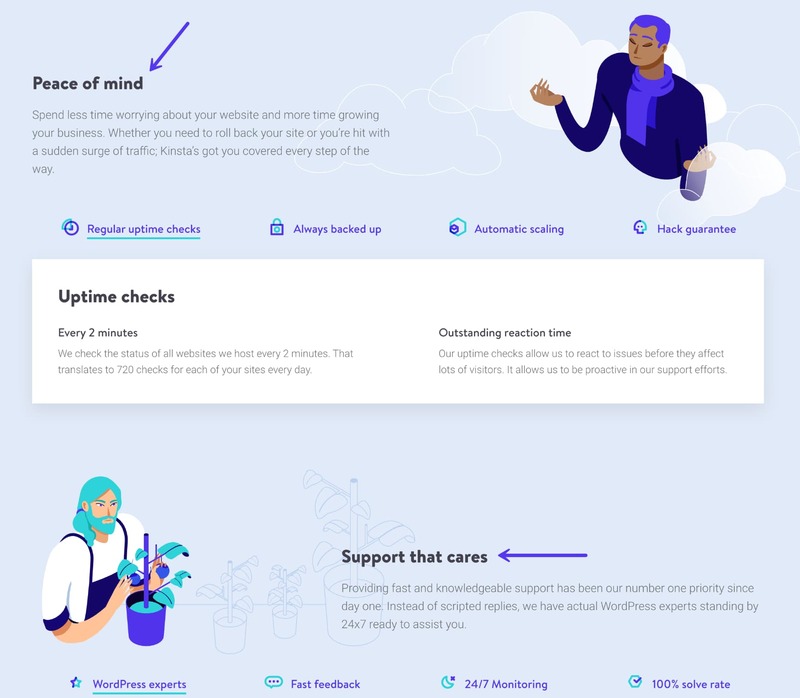 Look up a new host and there’s a slew of options, from the obligatory features to specify, to what each feature means for customers. When we relaunched our website in 2017, we gave this very topic a lot of thought. What do we want to market? Features or benefits. Peace of mind, scale as needed, ultimate speed, secure like Fort Knox. Support that cares, no waiting in lines for support, no issue goes unsolved. User-friendly and yet powerful, built by developers for developers. The problem with a race to the bottom and competing solely on features and price is two-fold. Cost-conscious consumers are loyal to price, not brands. That’s why hotels on Expedia lower the rack rate as much as possible, to appear cheap, only to gouge customers when they check-in with a $50 daily resort fee. The issue is that it trains customers to seek out the lowest listed price in their star rating preference, as opposed to looking for your brand by name or reputation. Competing on price also erodes margins, which actually backfires on the company over time because it reduces profits they can reinvest in making the product quality better. That means over the long haul, your products or services will get worse and worse, sabotaging the customer retention and true word-of-mouth recommendations to grow a big, long-lasting business. Unfortunately, when you compete strictly on features, you’re often caught in this no man’s land. You’re not quite able to charge a premium to fuel future growth. But you’re also not able to grab market share because there’s always a bigger company out there who can benchmark those features and undercut your price. Fortunately, there is a solution. And it’s actually pretty simple. Consulting giant McKinsey found that most B2B companies make the grave mistake of prioritizing things that customers don’t actually care all that much about. They pulled from all shapes and sizes of enterprise companies across different industries and were able to compile a pretty consistent view. Then, they polled 700 executives to determine how and why they buy. All of these companies loved to tout things like social responsibility, sustainability, and global reach. And yet, these all appeared to have a minimal influence on buyers perceptions of brand strength. The inverse was true, as well: two of the most important themes for customer perceptions of brand strength—effective supply-chain management and specialist market knowledge—were among those least mentioned by B2B suppliers. The last one was the kicker, though. 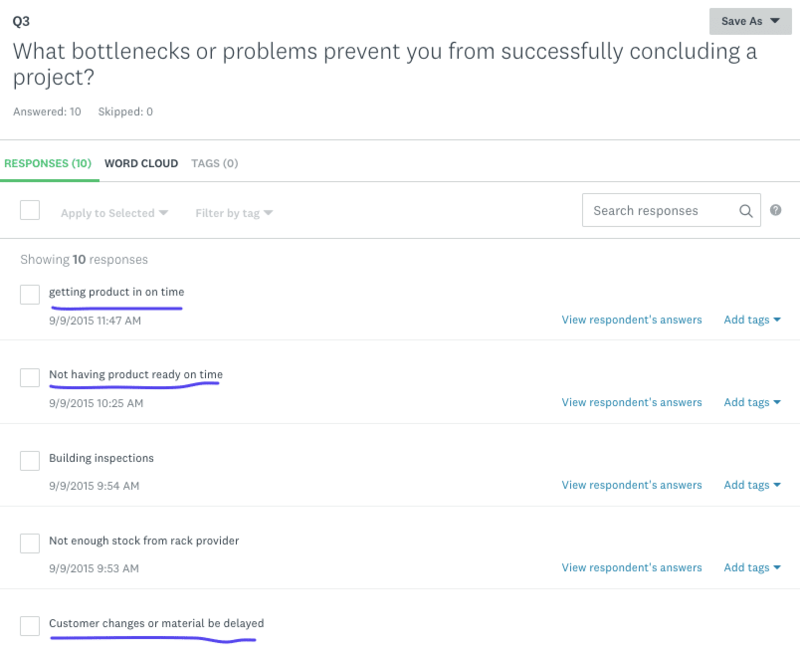 Honest and open dialogue, which customers considered most important, was one of the three themes not emphasized at all by the 90 companies in our sample. In addition to these disconnects, our analysis showed a surprising similarity among the brand themes that leading B2B companies emphasized, suggesting a tendency to follow the herd rather than create strongly differentiated brand messages. 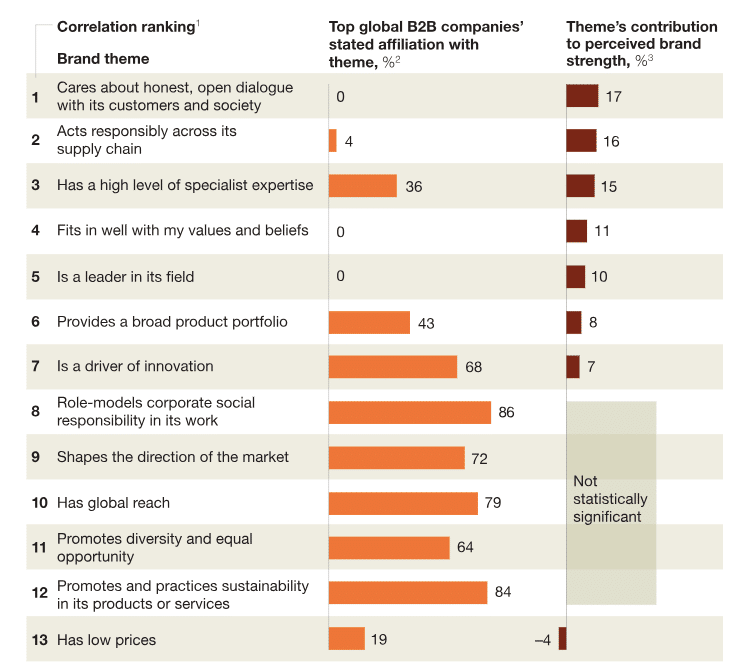 All of this research led McKinsey to conclude that most B2B companies talk past their customers. In other words, they say a lot of things that don’t actually amount to all that much, and that clients could basically care less about. 79% of customers said that brands have to actually demonstrate that they understand and care about me before they are going to consider purchasing. In other words, they need to help translate their technical jargon into something that customers actually understand (and value). For example, do you remember Windows RT? Probably not. That’s because it actually wasn’t around very long. It basically dropped the ball in every category you could think of, including speed, performance, differentiation, and integrations. 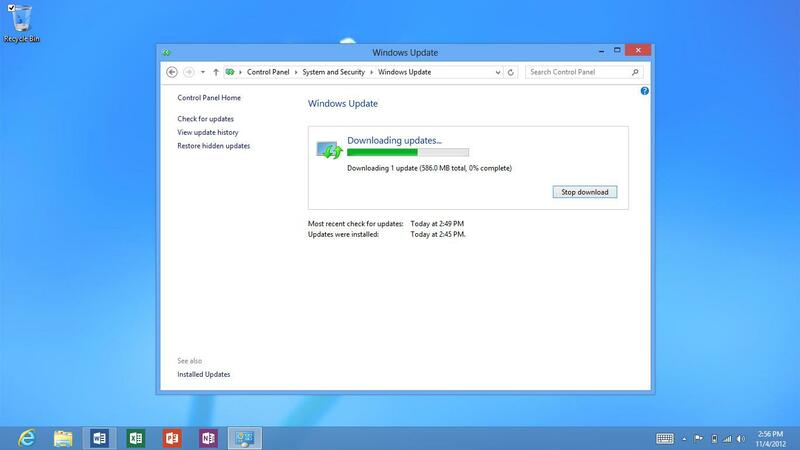 For all its faults, Windows RT might still have stood a chance if Redmond had managed to communicate who its audience was meant to be. But it hasn’t. Three months after the Surface RT launch, it’s still hard to say who the target market for an RT device is. To their credit, Windows themselves explain they didn’t really do enough to explain how Windows RT and 8 were different. So not only do you have to worry about how a product’s positioned in the market, relative to all the different alternatives. 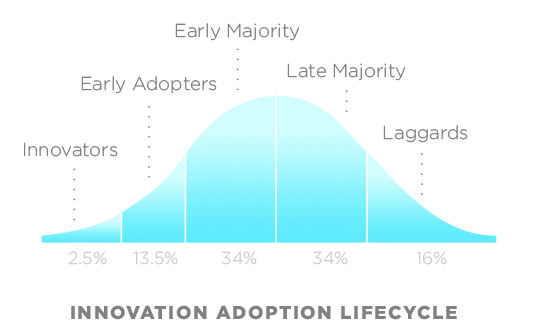 You also have to figure out the best way to position the product for people across the tech lifecycle adoption spectrum. Innovators might like a product for the exact opposite reasons why a mainstream consumer might. Developers might want more advanced features with their web hosting account (latest version of PHP, SSH, etc. ), while non-technical business people might want the opposite so they don’t accidentally screw anything up (automatic backups, free SSL, 24×7 support). The only way to fix this problem is through better understanding why customers make the decisions they do. Here’s what we’ve found helpful. Most companies know who their customers are. They know demographics, like age ranges, locations, and more. Unfortunately, that information is next-to-useless when trying to determine why they buy. Step 1: Where are your best customers, who view your products/services as an investment, rather than a cost? Step 2: Figure out why they buy your product/service in the first place, before digging deeper on why you. In hosting, that starts with why managed WordPress hosting is better than shared hosting or DIY. Then, it goes to why Kinsta vs. any other managed WordPress host. Step 3. Goes into walking through a day in that person’s life to figure out what they’re trying to do, what they’re trying to accomplish, and what’s preventing them from doing that. This includes everything from testimonial reviews to customer interviews to even website usability testing. Simple surveys work, too. How does your product help them overcome this obstacle? What are your top priorities and responsibilities? Why have you attained that success yet? What’s the biggest problem with these delays or barriers? How do you value the solution to those delays or barriers? Simple, right? All you need is maybe 5-7 questions tops. And you can start to see pattern matching based on people’s responses. These, of course, might vary based on your industry. Ah. Now I know what they want! And I know that “having products ready on time” is probably more valuable to them then saving another 5%. Hmm… sounds like they care about deadlines! This is not exactly rocket science. All you’re doing is uncovering their real motivations (behind why they buy), as opposed to some stuff you think they might potentially be interested in. Then, when it comes to positioning your product, you simply repeat back to them what they just told you. The trick is to include “so that” when re-evaluating your features. 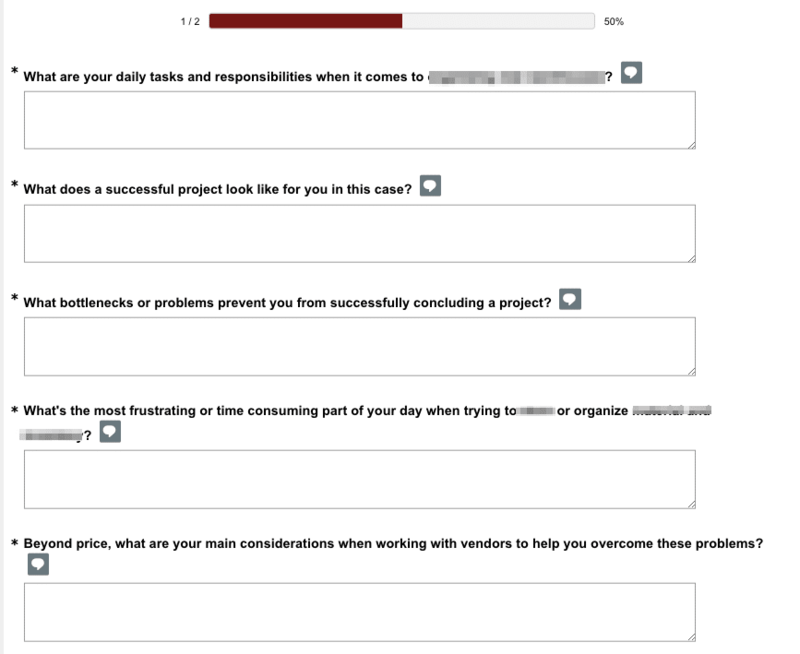 On the left-hand side of a spreadsheet, jot down all of your key product features. Double-check competitors to make sure they’re unique or differentiated. And then answer “so that” to first transform a feature into a customer benefit, then an outcome or concrete example. Benefit: Your site will be faster. Outcome: You’ll rank better and earn more money, decrease bounce rate. 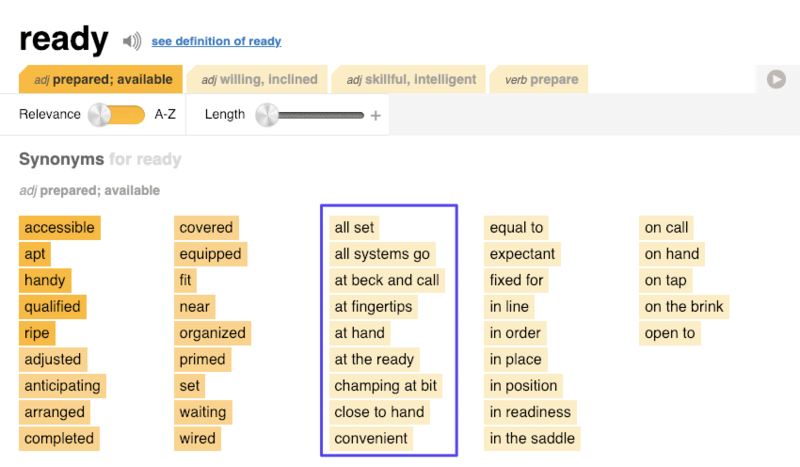 If “ready on time” is a hot-button issue in that real estate survey above, you can cross-reference your feature list to see all of the attributes that help that person get products delivered on time, not matter what. “At your beck and call,” “at your fingertips,” etc. are all good options, too. Feature XYZ is at your beck and call so that products will be delivered on time and you’ll never have another costly project overrun. The cost of your app or service — no matter how expensive — will almost always pale in comparison to their ultimate cost of project overruns or losing business. So now your price is an investment to them to protect future earnings. Not just another line-item expense. Let’s see a few other real-life examples. Here’s an email marketing platform, with the name hidden to protect the innocent. It’s a valiant effort. But the problem is that only the nerdiest of customers actually care about “targeted email automation.” Most people just want what “targeted email automation” can deliver to them. Beautiful. The point of all of this is to boil everything down into messaging that you can use consistently throughout your site. It (should) start with customer research. Not demographics, but underlying purchasing motivations. Then, you can build on this early work with these three other tips. Turning features into benefits is a long process. But using customer research to fuel these next three tips can help you make that transition faster, smoother. The Blue Ocean Strategy is admittedly very theoretical. But the thought exercise does provide a helpful framework for thinking about how you’re going to redefine the value customers get from your stuff. The point of the exercise is to avoid competing directly, head-on with competitors. At least, avoid competing head-on with them in places where you can never, ever beat them. Go back to price for a second. There’s no chance you’re going to undercut the biggest people in your space. We could never match GoDaddy’s pricing, for instance, and don’t want to. You can’t out-Amazon Amazon. But you can change the rules of the game. You can flip the script in a few areas, choosing to cede certain parts of the market to them, because you’re going to focus on a few areas where no one else can keep pace. For instance, GoDaddy’s size and business model works against them when it comes to things like customer support. Response times are slow and the cut-and-paste answers you get are less than helpful. Read the truth about how the web hosting industry really works. 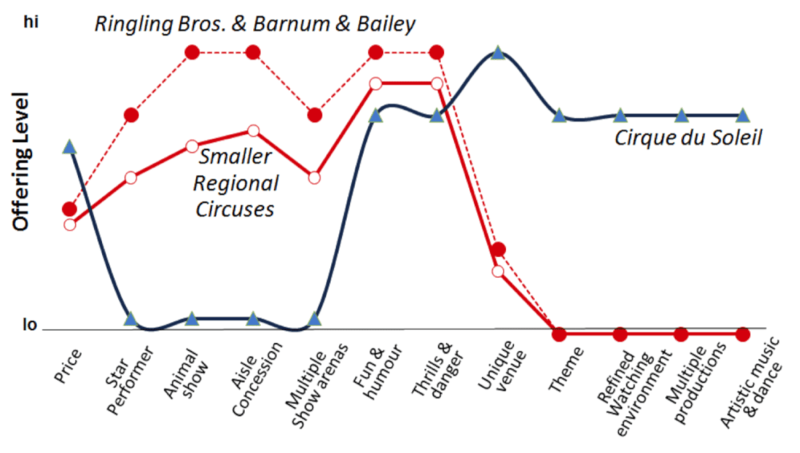 Blue Ocean Strategy uses the Yellowtail (wine) and Cirque Du Soleil examples at the beginning to drive these points home. The latter, for instance, chooses to not even engage most circus acts with star power, animals, or concessions. They don’t even bother. But they introduce a few new areas like themes or heightened production values to price shows way above your typical circus and grow like crazy. They’re now going even further into entertainment with sports and theme parks. Benchmarking a list of features of a competitors site won’t always help you. It could probably even hurt you. Because customers aren’t buying a list of features. They’re buying whatever solves their problem the fastest and easiest. So how do you do that, better than everyone else? Defining your value prop is hard enough. But actually communicating it properly might be tougher. That’s because it’s tempting to rush head-first into jargon and slang and buzzwords. It’s tempting to lead with bandwidth numbers and all sorts of technical nonsense that talks past your customers. Or worse, a bunch of general, vague descriptions that don’t actually mean anything at the end of the day. Let’s look at another ‘meh’ example first. It’s not terrible, but it’s not exactly clear, either. Once again, names have been blurred to protect the innocent. Kind of like those blurry faces on Cops shows. To their credit, they talk about generating revenue. And below, under the screenshot, they go into some more details. But it’s still hard to parse exactly what they do, or their value over others. I bet you have no idea what products those are, or which features they’re even referencing. Ohhhh. That makes sense now! If customers can’t understand what you’re talking about, they’re going to skip over to the pricing page, compare costs, and go with the cheapest. Because that’s how they’ve been trained. The old adage is that people don’t buy drills, but holes. 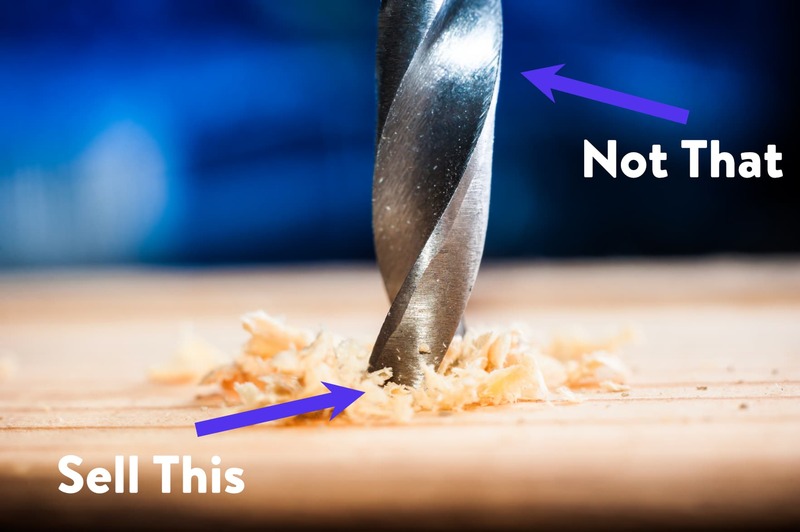 The speed a drill rotates, then, is irrelevant. At least, unless you can explain how the speed results in a faster more accurate hole so that all pictures in your room are hung straight within ten minutes or less. Problem: Your website is too slow on mobile. Agitate: Slow mobile sites will rank worse. Solution: A CDN will instantly lighten your host’s load and ensure your website’s assets (images, CSS, JSS) are delivered lightning fast to mobile devices. Formulas and frameworks like this exist to help get you out of your own head and avoid the curse of knowledge. It’s easy to get stuck with blinders on that prevent you from seeing the customer’s point of view. Framing each feature after PAS prevents that by forcing you to start (not end) with the customer’s issue (vs. your own). A knowledge base isn’t just some feature now. It’s a tool that will help customers help themselves, thereby removing your resources from the equation. Problem: One-on-one support is difficult (and expensive) to scale. Agitate: People expect answers in less five minutes or less. Solution: A knowledge base empowers customers to help themselves to get instant answers, without you getting in the way and slowing the entire process down. The same basic message, but tailored more specifically to healthcare buyers who might be drowning in a sea of constant questions for patients and families. You can’t dismiss or blow them off. Their concerns are the exact reason they’re visiting your hospital or practice. But you can offer another alternative to help them while saving your practice tons of time and money in the process. You can’t always speak in hypotheticals online. You can’t always try to use vague stories to sell your position. Customers will need to know where they can get the facts when they’re ready. But that doesn’t mean your marketing materials need to read like a technical report, either. Only pushing features can backfire by forcing customers to just use price to tell the difference between you and any number of other competitors. “Talking past your customers” is not only easy, it’s basically the mainstream for most technical companies. The trick is to first understand what ‘value’ means from your customer’s point of view. You can uncover that by starting to question their day-to-day objectives, their version of success, and what’s preventing them from achieving it. That way, you can peel back the layers of the onion to pinpoint their top priorities. Once you know these, your job is to position your products and services around what customers value most (and are willing to pay for). It not only makes the competition irrelevant, but it also makes your cost seem like an investment that’s worth a whole lot more than they’ll ever pay you. Promoting your marketing features is absolutely essential. But only if you’ve also been able to turn each one into a benefit and outcome so customers understand exactly what they’re getting, not paying for.